I strive to produce soy sauce and miso with a strong feeling that “I want to make old-fashioned, authentic soy sauce and miso”. Shortly after birth, my body was covered in rashes. The diagnosis was a skin condition called atopic dermatitis, and it was particularly severe from the ages of 5 to 14. The symptoms were so bad it seemed I could’ve been a case model. Over the years, my atopy conditions improved and today, as an adult, I am fully cured. However, I have a friend who still suffers from atopic dermatitis as an adult. As a child I would always wonder why I got atopic dermatitis but as an adult, and from watching my friend still suffer from it, I now wonder why people must suffer from this condition. When thinking this over and over, I have reached the conclusion this is due to several reasons. I thought there might be two big factors; one caused by the environment, and the other caused by eating habits. How did I come to this conclusion? It’s because I started to believe that no one in the Meiji era (1868-1912) or before suffered from atopic dermatitis. So, what is the big difference between the past and present? Most likely the environment and eating habits have changed significantly. Today, we have lost large portions of nature, and our dietary life is full of chemical seasonings and additives. Although I cannot regain lost nature, as a soy sauce and miso manufacturer, I started to think that I would like to produce the products in the old-fashioned, natural way. It feels ironic, but consciousness towards eating healthy has grown in me due to the unpleasant and painful atopy symptoms I suffered from. I strongly began thinking that producing true, authentic soy sauce and miso is a mission given to myself. From the time of stocking in 2002, we asked the president if we could start making soy sauce the old-fashioned way in the “sugioke” using only soybeans, wheat and salt. By feeling the nature of the four seasons in natural brewing, we do not add any additives. We began to be conscious to carefully select the raw materials. 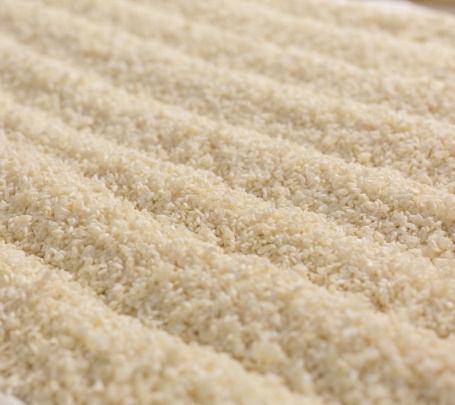 We selected Fukuyutaka soybeans (quality equivalent to top rank) from a local contract grower, Chikugoizimi and Minaminokaori wheat (both top ranking quality) produced in Ehime prefecture, and salt pumped from the Naruto seawaters of Tokushima prefecture. Obviously, we are consciously selecting local products. 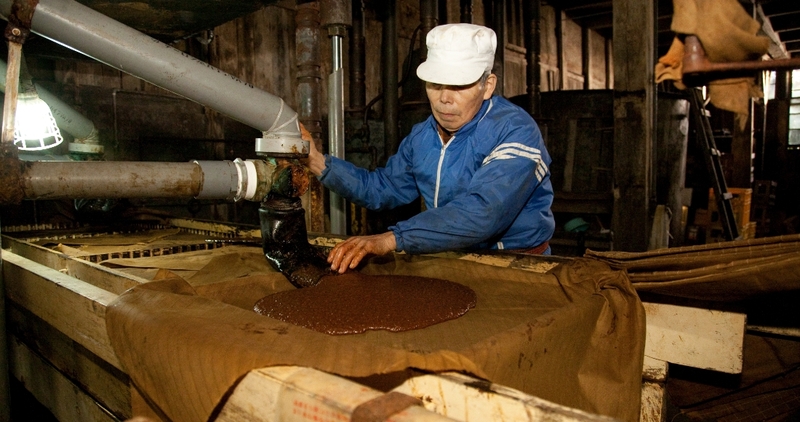 Kajita Shoten has been brewing soy sauce here for over 140 years and has been supported by the local people. We first asked ourselves if we need to seek good quality ingredients outside the local area just because we want to make delicious soy sauce. The answer was that we were convinced it could be made combined with the technology, experience and pride of soy sauce manufacturing that we have cultivated, therefore, decided to use local raw materials. 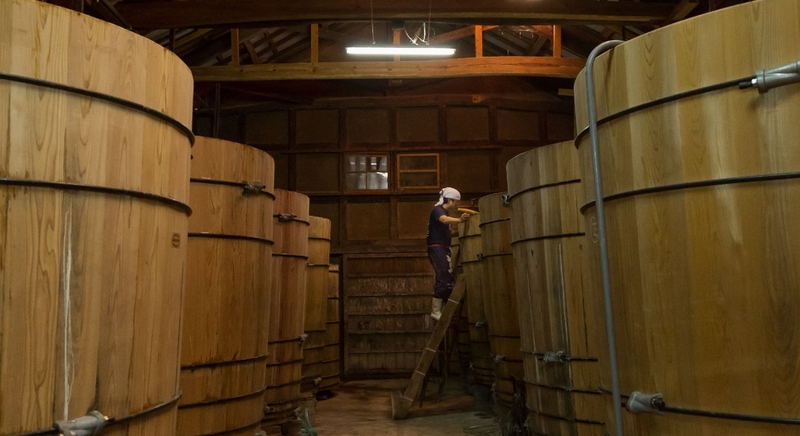 In addition, at Kajita Shoten, it was a great help that there were technicians and craftworkers who made soy sauce in the traditional manufacturing process that took time and effort in producing soy sauce. During the time when there were no supermarkets, each family had its own “homemade taste”. Now, there are ready-to-eat dishes and sides dishes everywhere we go that taste similar. I hope to regain the “homemade taste” of each household and “genuine taste” of ingredients once again with Tatsumi soy sauce. 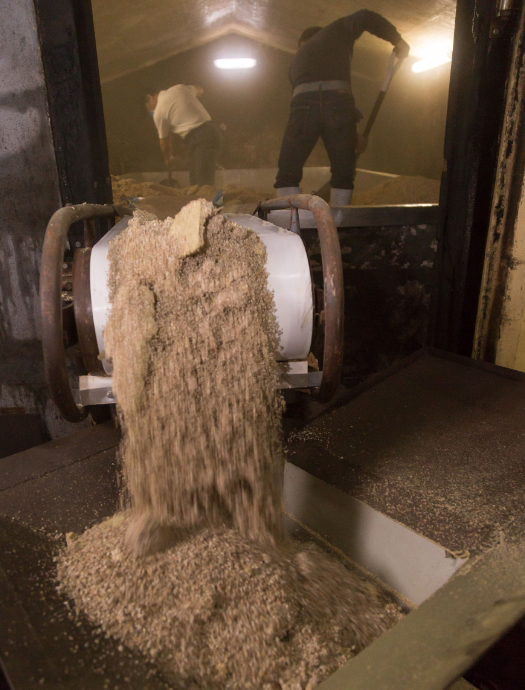 At Kajita Shoten, we know the origin, year, type, of all the main ingredients used, soybeans, wheat, barley, naked barley, glutinous wheat, rice, defatted soybeans, and salt. When aiming to make delicious products, we cannot avoid asking ourselves what kind of materials or ingredients to use. We do not think that anything is suitable. We believe that the quality of the product is determined by the potential of the raw material. The first step in making something “delicious” is to start with selecting raw materials. 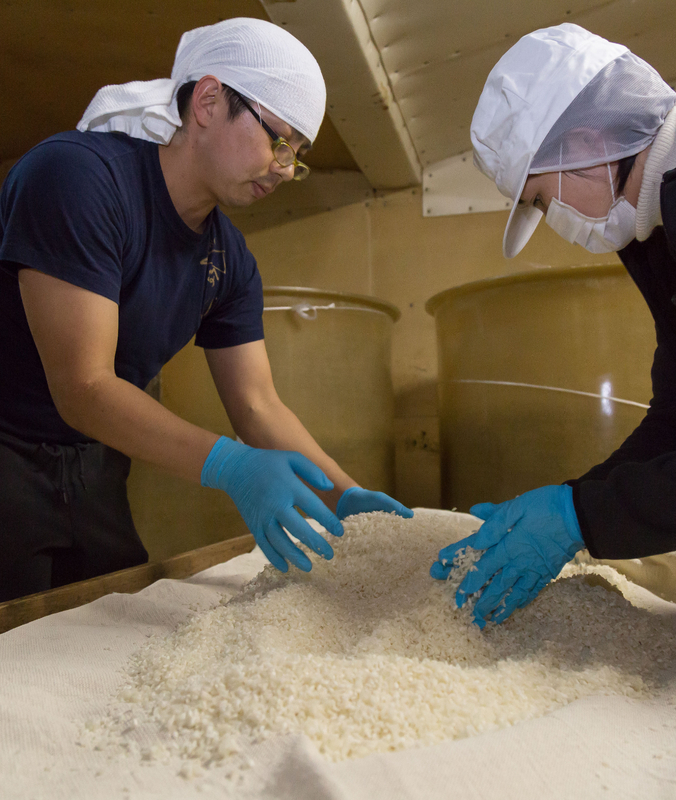 Among the main ingredients, we use soybeans, wheat, naked barley, glutinous wheat, and rice, all produced here in Ehime, and except for wheat, we basically know all the producers. 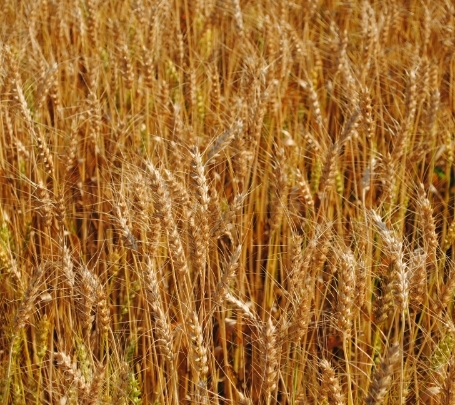 Since barley is not available in Ehime, we selectively use barley produced in Okayama, Kagawa and Saga prefectures according to the seasons, and use salt made by pumping up Naruto seawaters of Tokushima prefecture. 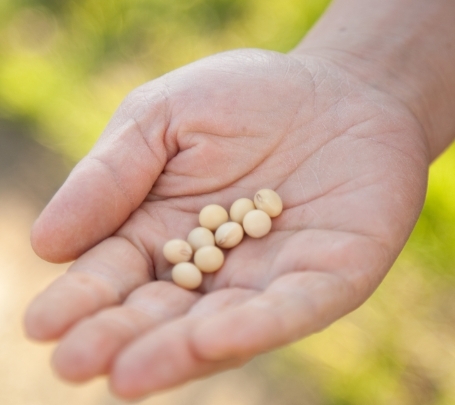 As for defatted soybeans, genetically modified soybeans are purchased from the US which then Nissin OilliO Group Ltd.,’s Mizushima Factory extracts the oil. Where did the raw materials come from? How did it get here? I feel it is better to use materials where even a slight scene comes to mind and would like to get to know the producers if possible, compared to not knowing at all. 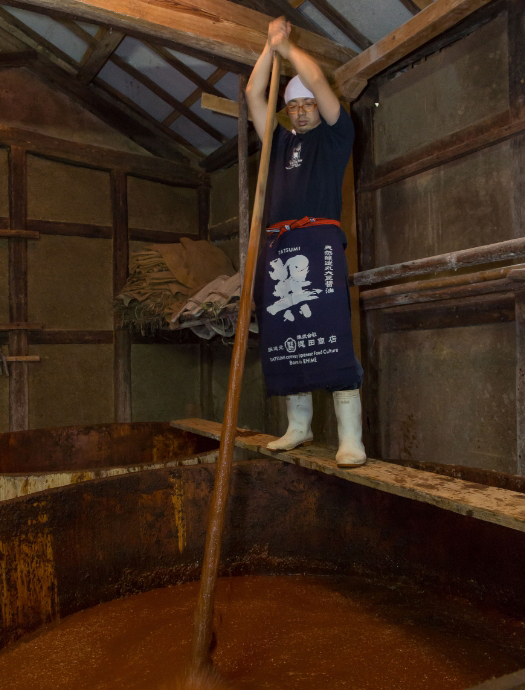 Unlike modern major soy sauce and miso manufactures, we produce soy sauce and miso in a way very close to a household handicraft industry. Perhaps it sounds good to hear that we are keeping the traditional manufacturing methods, but the reality is up to today, it’s impossible to make modern capital investments ? However, rather than putting effort on this, we prioritize making products harmonizing more with nature. We do not add enzymes or yeasts at all to encourage fermentation. Fermentation is carried out by the enzymatic power of aspergillus koji and the yeast habitually surviving in the warehouse molded by us throughout generations. 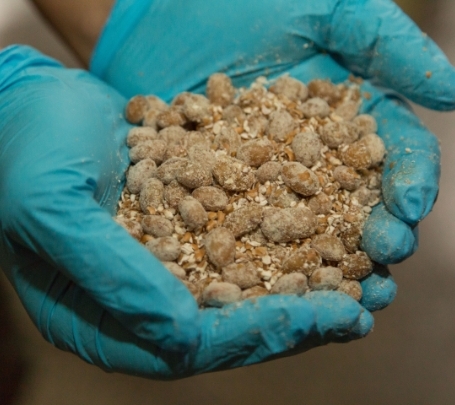 What we can do with our hands is how to guide koji to highly gain enzymatic power, but we also spend lots of time watching over and observing, leaving the process to nature, and relying on nature. 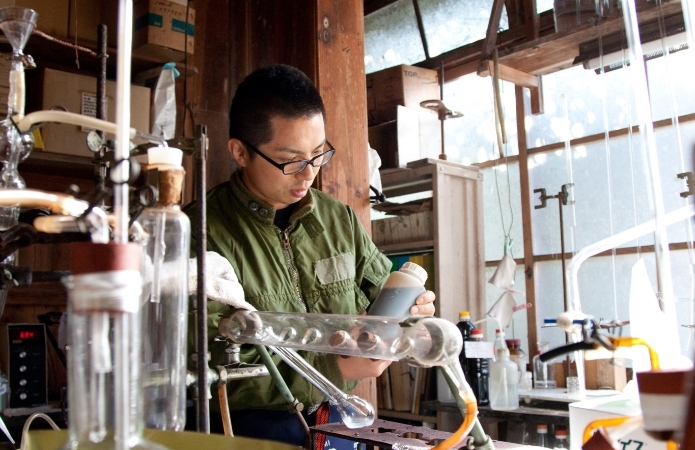 We are looking to make better tasting soy sauce and miso, together with nature. We are just “one” processer producing soy sauce and miso and we cannot have people taste our products on our own. Kajita Shoten is a manufacturer where our efforts are paid off thanks to all the farmers who supply raw materials to us, distributers who sell the finished products, and restaurant businesses and regular consumers who buy and use our products, whom we respect and have an understanding relationship with each other. We appreciate the power of nature and fate and will continue to brew soy sauce and miso sincerely and solemnly. We would like to be a warehouse that takes a big part on Japanese food culture. In a slightly exaggerated way of saying, in this modern satiation, “home-made taste” and “genuine taste” is a minority, lessening year by year. You might be feeling as well that it’s on the point of disappearing. Thankfully in modern times, if you get hungry, you can easily satisfy your hunger anywhere. We are constantly being chased by time, and it feels it is having a negative effect on our food life. The number of people gathering around dining tables has also become smaller, cooking is simplified, or what is laid out on the table is just bought. If “living, is eating” is the starting point, how much are we caring about our food in this modern time? We can stay healthy by maintaining the balance of the body and mind. At Kajita Shoten, we strive to provide exquisite taste which is healthy and delicious not only to the body but also to the mind.